This weekend The Shadowbox is partnering with the StoneWall Society to host a three day film festival geared toward Gay/Lesbian/Bisexual/Transgendered equality. The Pride In The Arts International GBLT Film Festival will be held June 25th – 27th and will feature five full-length films with a different short film and music video following each film. Starting the festival out will be Woman In A Man’s Suit, a documentary focusing on the life of musician Georgie Jessup. The musician will perform after the film which will be followed by an opening party meet and greet lasting until midnight. For advanced tickets to this festival event order here. For more information on the event visit The Shadowbox online. 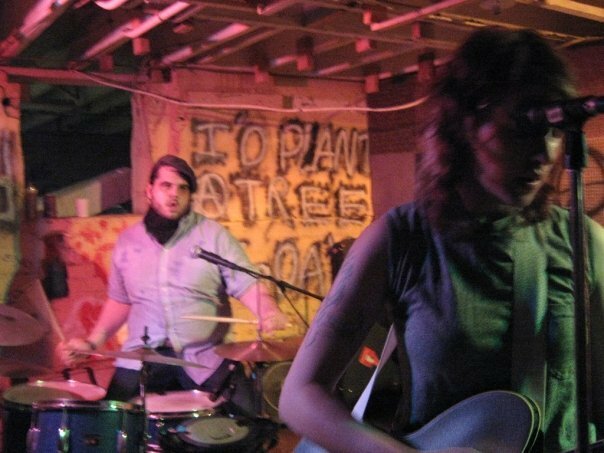 The Toledo duo known as FANGS OUT will be playing the Bazaar this Thursday with our own Nancy & 2 Meteors. Nancy has some great new material so make sure to come out! $5 at the door! 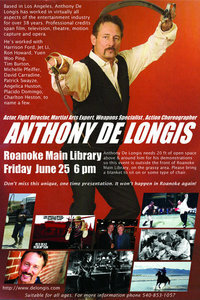 This Friday (June 25th) the Roanoke Main Library located downtown on Jefferson Avenue will host martial artist and cult film star Anthony De Longis. Road House (starring Patrick Swayze) is the film De Longis is most recognized for playing a monster truck driving hench man with an attitude. He has worked with many strong names in Hollywood such as Harrison Ford, Jet Li, Tim Burton, Ron Howard, Michelle Pfiffer, Angelica Huston, Charleton Heston and of course, Patrick Swayze. This will be De Longis’ second trip to Roanoke. The first being his appearance at the Grandin Theatre’s midnight showing of The Last Dragon where he gave a very entertaining bull whip demonstration and signed autographs along side the film’s star Taimak. De Longis will demonstrate some of his skills outside of the Roanoke Main Library at 6pm. A brief Q & A is also offered for the evening. In more Underground Melodies news, Blacksburg band Ike As In Dwight will be replacing The Young Sinclairs in the line up due to scheduling conflicts. 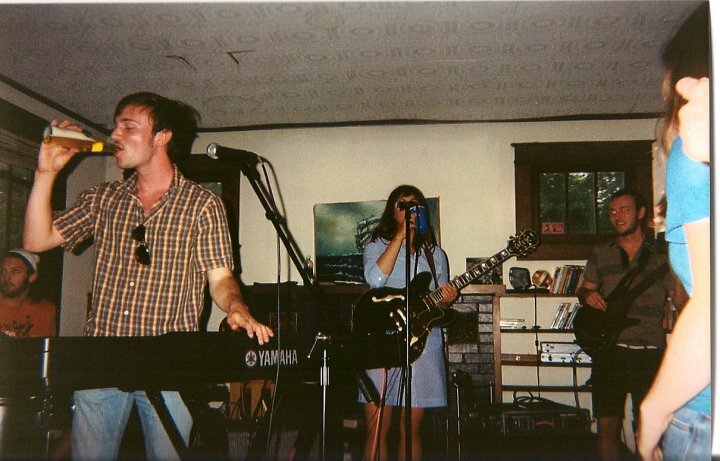 This performance will be the band’s last show which is very sad to say. If you have not seen Ike As In Dwight this is your opportunity. Do not miss out! Also this will be 3AM Friday’s final show, so come out and show them your support! The Underground Melodies line up is as follows…. DJ HouseKat will DJ after midnight and Nota Number will spin between bands! Get your tickets now at the Bazaar! $15 and well worth it with free camping included. Join us here next week for our list of 4th of July weekend events! See you then!